A recent outburst among law students of Delhi University (DU) led to a protest outside the Bar Council of India (BCI), Delhi, whose decision to shut down colleges that offer evening courses in law resulted in a major seat cut. The protest was led by All India Student’s Association. Aman Nawaz, DU President AISA, said that another protest will be organized on Thursday. 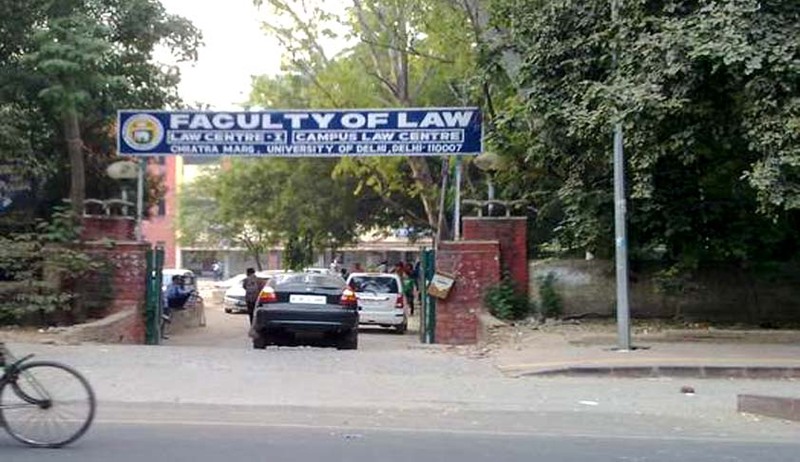 There are over 800 students that are currently pursuing law in evening colleges affiliated to Delhi University and this decision comes as a setback to every student attempting to balance their work and study law.The move follows an adverse report filed by the BCI, which alleges that the University violated legal education rules by conducting classes after 7 pm. Subsequently, BCI’s Legal Education Committee has issued a fresh show cause notice to DU, to explain the “illegalities” in its functioning and has demanded an assurance in writing that it would comply with the prescribed recommendations within four weeks. Failure on the University’s part would entail disaffiliation for two academic years. BCI asked the DU to shut down these colleges after their inspection yielded unsatisfactory results with respect to the infrastructure and the quality of education provided. Read more at Live Law. “Three law centres –Law Centre-1, Campus Law Centre (CLC) and Law Centre –II in Law Faculty, were proposed to be set up in a new building located at ChhatraMarg, in north campus and near the present Law Faculty. The new building is ready but the building didn’t pass BCI’s inspection,” said Ved Kumari, teacher in LC1. KamalpreetKaur, Vice President of All India Students Association (AISA) stated that she declined offers from two of the top colleges in India only to seek admission in DU and has to suffer now due to the conflict between the DU and BCI. The students claimed that BCI chairman Manan Kumar Mishra, addressed the protesters and said, “He will not allow any student who does part time job to get a law degree and also until DU provides full infrastructure and a student teacher ratio of 40:1, the seats will not be increased”.